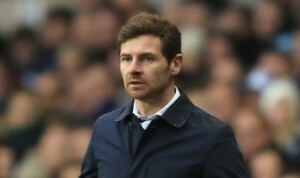 Tottenham boss Andre Villas-Boas has declared that he has not been unsettled by talk of interest from Real Madrid. The Portuguese’ excellent work at White Hart Lane hasn’t gone unnoticed by Real president Florentino Perez, who is compiling a shortlist of names to replace outgoing Jose Mourinho, with Villas-Boas’ name understood to be on it. “At the moment I am very focused on trying to get another year at one club. The same club!” laughed AVB. “I would one day like to take my career off the beaten track, I would definitely like to do that. Brazil, maybe. Villas-Boas added: “The speculation about Real Madrid comes from the coach having speculation all over the world about his exit. “The fact he made it public that he is looking for an exit has ended up with a lot of speculation. For me it is always an honour, but I am completely focused. “It’s obviously very flattering but I think at the moment everybody is being linked with the Real Madrid job because there are now lots of coaches around.